Despite assurances made when he purchased the team in 1994 that the Whalers would remain in Hartford at least through 1998, in March 1997 owner Peter Karmanos announced that the team would move elsewhere after the 1996 – 1997 season because of the team’s inability to negotiate a satisfactory construction and lease package for a new arena in Hartford. On May 6, 1997, Karmanos announced that the Whalers would move to the Research Triangle area of North Carolina and the new Entertainment and Sports Arena in Raleigh. Due to the relatively short time frame for the move, Karmanos himself thought of and decided upon the new name for the club, the Carolina Hurricanes, rather than holding a contest as is sometimes done. Later that summer, the team dropped the Whalers’ colors of blue, green and silver for a new black-and-red scheme, matching the colors of the North Carolina State University Wolfpack, with whose men’s basketball team they would share the arena in Raleigh. In defiance of all geographic reality, the Hurricanes inherited the Whalers’ place in the Northeast Division. PNC Arena originally Raleigh Entertainment & Sports Arena and formerly RBC Center is an indoor arena, located in Raleigh, North Carolina. The Arena seats 19,722 for basketball, and 18,680 for ice hockey, including 66 luxury suites and 2,000 club seats. The building has three concourses and includes a 300-seat restaurant. The 2006 Stanley Cup Final was the NHL championship series of the 2006 Stanley Cup playoffs contested between the Eastern Conference champion Carolina Hurricanes and the Western Conference champion Edmonton Oilers. It was Carolina’s second appearance in the Final, the other being in 2002, a loss to the Detroit Red Wings. It was Edmonton’s seventh appearance in the Final and their first since their fifth Cup win in 1990. Carolina defeated Edmonton in seven games to win the franchise’s first Stanley Cup becoming the tenth post-1967 expansion team and third former WHA team to win the Cup. Carolina’s 2006 win was also the teams’ second league championship the club, then known as the New England Whalers won the WHA Championship in 1973. The Carolina Hurricanes are a professional ice hockey team based in Raleigh, North Carolina. They are members of the Metropolitan Division of the Eastern Conference of the National Hockey League (NHL). 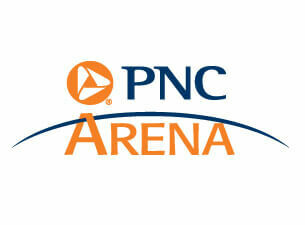 The Hurricanes play their home games at the 18,680-seat PNC Arena. The franchise was formed in 1971 as the New England Whalers of the World Hockey Association (WHA), and joined the NHL in 1979 as part of the NHL–WHA merger, renaming themselves the Hartford Whalers. The team relocated to North Carolina in 1997 and won its first Stanley Cup during the 2005 – 2006 season, beating the Edmonton Oilers, four games to three. Hurricanes – After the Hartford Whalers moved to Raleigh in 1997, new owner Peter Karmanos, Jr. named his team Carolina Hurricanes after the devastating storms that regularly ravage the region. Hurricanes Bertha and Fran hit North Carolina in 1996, and the powerful storms were fresh on everyone’s mind when owner Karmanos, chose the new nickname of Hurricanes prior to their debut in 1997 – 1998. 1994 – 2017 / Peter Karmanos, Jr.
Who is the greatest Carolina Hurricanes? The Carolina Hurricanes are a professional ice hockey team based in Raleigh, North Carolina.